CRFS, an RF technology company developing spectrum monitoring solutions, has introduced a new unique software tool called RFeye DeepView. 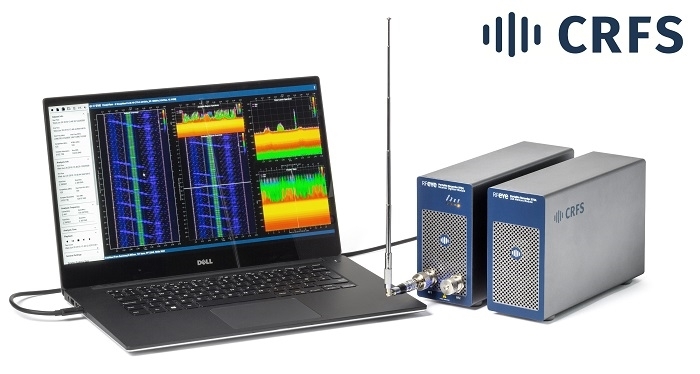 The DeepView software enables users to analyze the RF spectrum in precise detail, to discover signals of interest that might be intermittent or hidden in the noise. It also enables the user to analyze vast data sets with unprecedented ease and speed - datasets that would normally take days to review can now be analyzed in minutes. Often signals of short duration and low power, especially those that cause sporadic interference, can be extremely difficult to isolate and identify within the vast amount of data present in the RF spectrum. DeepView helps the user to rapidly search and drill down to a specific time and frequency and isolate a signal of interest. The I&Q data of a nanosecond burst can then be exported for further analysis or demodulation. The RF spectrum is becoming increasingly congested, which makes it easier for signals of interest to be concealed or lost amongst other transmissions. DeepView helps users quickly and easily drill down and isolate the signal they are interested in. This can then be viewed and analyzed in extremely high resolution. The power of DeepView, is fully realized when it is used with the RFeye Recorder solution from CRFS. The high bandwidth recorder can capture spectrum data up to 18 GHz, with no loss of resolution or fidelity. DeepView has many applications in military, regulatory and test environments. For example, in surveillance scenarios the ability to find, record and analyze short, low power transmissions can be vital to understand and exploit signals. DeepView is also beneficial in hunting for interference that could negatively impact the performance and safety of avionic, radar and communications systems. DeepView was specifically developed by CRFS to answer its customers’ real-world challenges. The RFeye DeepView and Recorder form part of the CRFS suite of spectrum monitoring and analysis solutions, designed for military, security services, spectrum regulators and systems integrators.